Bring your little member of the family to Cloverdale Animal Hospital where we treat all our furry patients as if they were our own pets. Schedule your next checkup, exam, surgery, dental work, or any clients’ needs. Teeth and oral health are major parts of our pets’ overall well-being. Prevent possible disease by keeping their teeth and gums clean and healthy. Take them to our pet dentists for a cleaning today! Our pets can experience specific health problems that can’t be fixed with medicine alone. Book with us today if your cat or dog requires a slightly more invasive procedure to correct their health. Nobody wants to say goodbye to our pet family members. When it’s time to deal with the toughest part of pet ownership, bring your beloved cat or dog to the compassionate vets at Cloverdale Animal Hospital. We’ll help you both through the hardest of times. Prevent future pet problems today with preventative medical measures like wellness exams, frequent checkups, and up-to-date vaccinations, and keep your critters going strong for years to come. Bring your pet to a veterinarian who cares at Cloverdale Animal Hospital. Proudly servicing the Surrey area, our professionals offer a comforting environment for all your cat or dog’s treatment needs. We have an in-house x-ray machine so you won’t ever have to wait too long for test results. If fleas are becoming a household problem, bring your pet in for our effective flea-control treatment. We also offer animal dentistry, spaying and neutering services and prescription pet foods and supplies for all your pet’s needs. At Cloverdale Animal Hospital, we look forward to providing your pet with friendly care. We honour SPCA (British Columbia Society for the Prevention of Cruelty to Animals) and pet store certificates. New patients and walk-ins are always accepted. However, you may also contact us to schedule an appointment with an experienced veterinarian to ensure our availability. Open seven days a week for your convenience, we’ve recently moved to a new location that is easily accessible via public transportation and offers free parking. 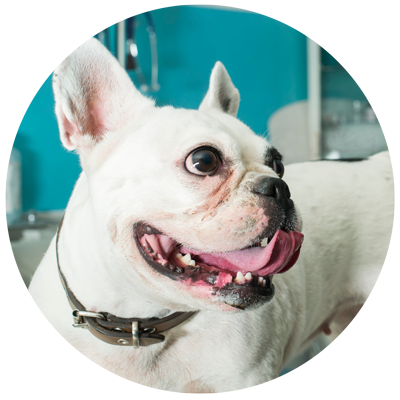 Did you know that these standard procedures can have drastically positive results for your pet? Did you also know that they can improve your life as a pet-owner too? Learn how spaying and neutering is the humane choice for your pets. A spoonful of delicious food can help the medicine go down! 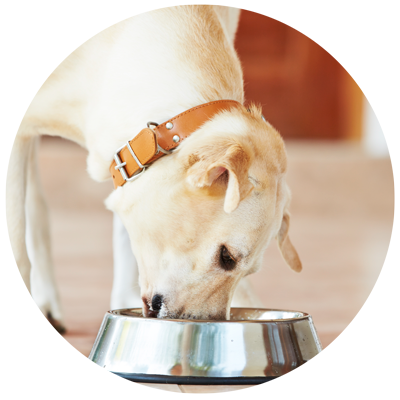 Come to Cloverdale Animal Hospital for all your pet’s prescription food and medication needs.